My fascination with elevators is kind of like my fascination with freeways. It puzzles people because they're taken for granted, and have been for a very long time. If most people think about them at all, it's with annoyance, that there's a delay. Since I worked in the tallest building in Phoenix for several years, I got to use elevators a lot. And they worked great. You pushed a button, stood there trying not to make eye contact with anyone, and in a few moments the doors opened and you were at your floor. But when I started to learn about the history of elevators, I was amazed. 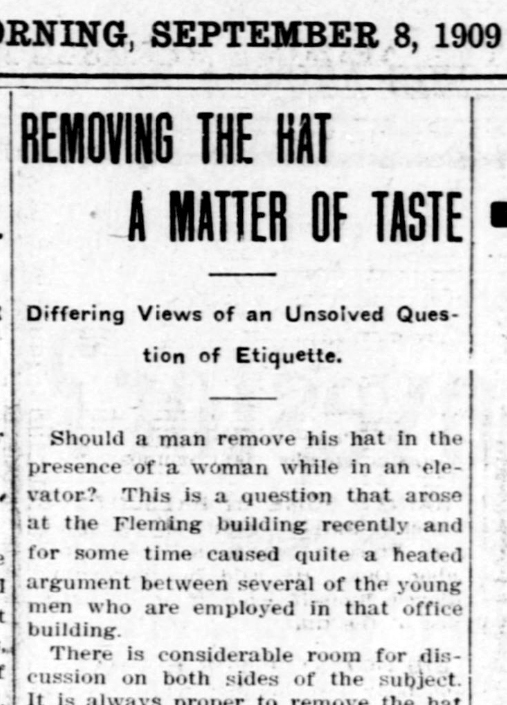 I found this article about men taking off their hats to women in 1909 and what caught my eye was that they were talking about elevators. 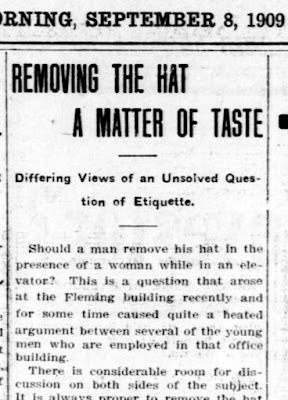 Elevators in 1909? Yep, and taken for granted by then. Of course, back then they had to have someone inside of it all of the time, operating it. I often wondered about what kind of job that was? I'm sure that at the beginning it was an admired job, doing the miraculous task of taking people up several stories, safely. I've never seen an elevator operator myself, except in movies, but it looks like there were generations of them. In the 1950s it all started to change in Phoenix. That's when elevators began to be modified, and built, to be operated with a push-button. And apparently people hated it. Getting people to use a push-button elevator apparently wasn't easy. As near as I can figure, it was like trying to convince people to use ATM machines. But people learned, and learned to take them for granted. 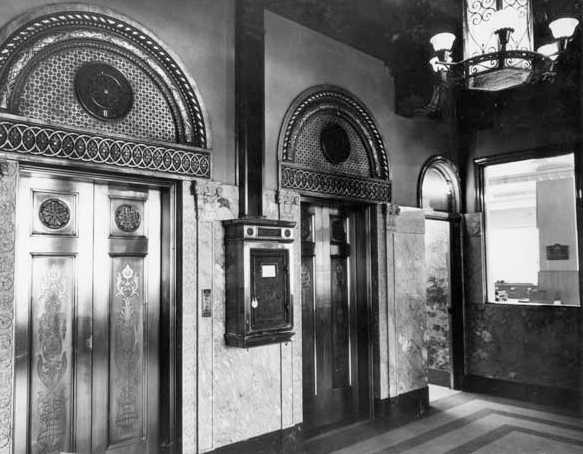 Image above: the elevators in the Luhrs Tower in 1954, Jefferson and 1st Avenue, Phoenix, Arizona.